Good gravy ~ these are selling FAST (apparently you like them as much as me!) 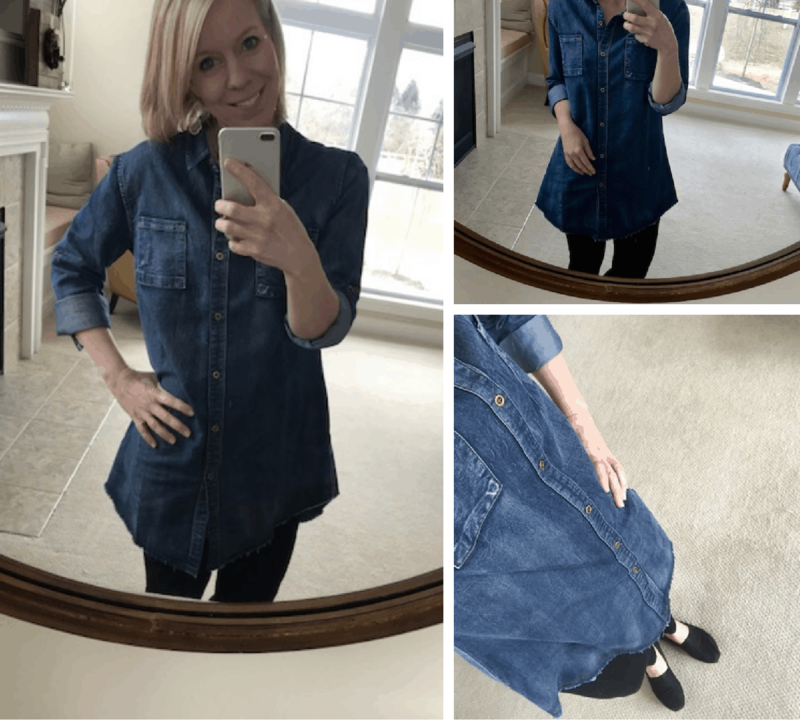 I've already contacted Jane to see if there's any chance they'll get more in stock (there are still some available – go HERE to see if your size is in stock), but if not here are a few cute denim tunics on Amazon too, I'm loving the tunic dress at the top of the Amazon page too! So excited about this one! 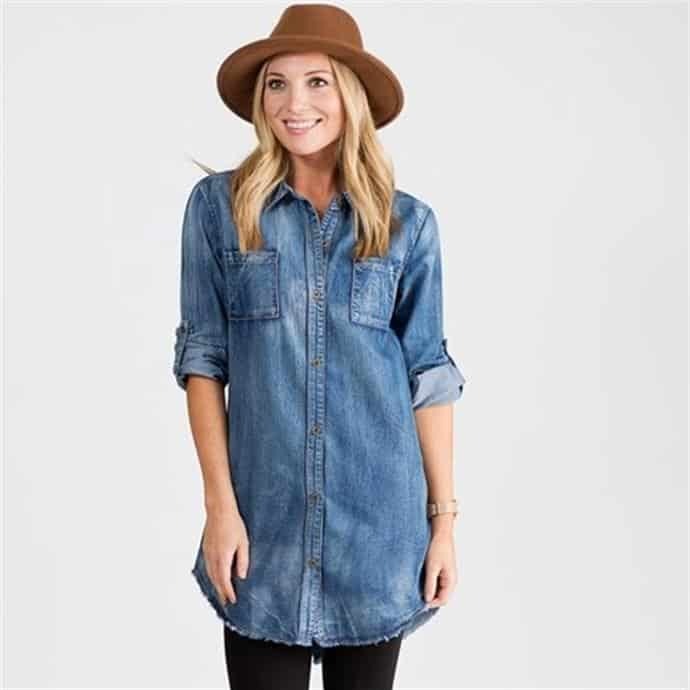 Right now Jane has this their Chambray Denim Fringe Tunic for just $21.99! It's seriously my favorite tunic ever ~ longer in the back too, which is nice! I LOVE LOVE LOVE mine (I bought the small, it runs very true to size. I'm 5'7″ and normally wear a 6 on top and 8 on bottom, and the medium was a bit big on me so I bought a second one in a small which fits perfectly!) Shipping is $3.99 on the first one and $1.99 for each additional. Go HERE to grab it!